This page provides Herschel students with a range of ways of accessing help and support, both in school and out of school. For much more detailed help and support regarding issues that arise online, see our separate Online Safety page. We believe that your safety and welfare are very important. 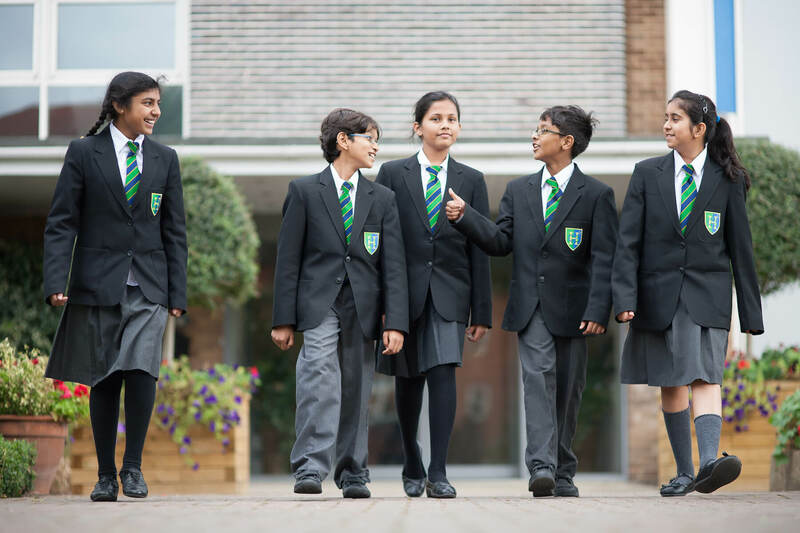 Schools have a special responsibility to safeguard and promote the welfare of all pupils. This means we should notice if you are being treated badly, listen to you if you want to talk to us about a problem and take advice from other professionals if you need extra help. Young people are nearly always safe at home, at school and in the community, but sometimes things can happen to make them worried, upset or afraid. When young people are hurt in some way by an adult or an older young person this might be what is called child abuse. If we think a pupil has been harmed or is at risk of being harmed, we have a set of rules we follow to help to protect you. These rules are called safeguarding procedures and a copy of our safeguarding policy is available on the school website here - the safeguarding policy is near the bottom of the list. Young Person's Guide to Keeping Children Safe - click to read this document on the Children's Commissioner website. If you have a problem at school or at home and you don't wish to go to a member of the safeguarding team listed above, you can of course talk to any teacher you trust, but your form tutor or Head of Learning is always a good port of call. Sometimes they will be able to help you themselves and sometimes they will refer you to someone else who can - the school nurse, perhaps, or the school counsellor. Do you have an issue that you don't want to talk to a teacher about but perhaps a trained sixth former instead? You can ask your head of learning or your tutor to arrange a peer mentor for you - or email them peermentors@herschel.slough.sch.uk. You may wish to talk by email initially and later arrange some face-to-face support. Gloria, our school nurse, is in school on the first Wednesday of every month. For appointments please email Mrs Smajlaj. Click on the Whisper tool below to make a report about any aspect of online safety, safeguarding or bullying involving yourself or someone else that will go straight to the inbox of a senior member of Herschel staff. You can choose whether or not you remain anonymous when you make the report, although you must bear in mind that if you remain anonymous it may be more difficult for the school to act on the information. Please note Whisper reports are not continuously monitored. If your situation is urgent and you feel at immediate risk, please contact the police or call childline on 0800 11 11. Report issues of online abuse or if you are concerned about the way in which someone has been communicating with you online, click on the button below to make a report to CEOP - the Child Exploitation and Online Protection Centre. They will walk you the process of reporting and you can change your mind and stop at any stage. If you come across any terrorist related content or violent extremist content online or offline that worries you, click the STOP button below. Communities working together defeat terrorism, and the police need your help to pass on anything you know or discover. Information on the law and your rights. Support and help with anxiety conditions and phobias including panic attacks, OCDs, body dysmorphic disorder, social phobia. Information, factsheets, tapes, self help guides. Extra services for members include therapy services at reduced rates, helpline, member contact list, discounts on products, chatroom. National user led organisation working to enable people with manic depression to take control of their lives. Telephone information on anything to do with the condition including medication. Network of self help groups for people with depression, their relatives and friends. Self management training programme. Employment advice. Information on finding a local counsellor. Helps young people get ready for the first time visiting a doctor to discuss mental health. Digital tools aimed at ensuring young people get the most out of their appointment with the doctor. A 24/7 telephone support line which gives teachers access to professional coaches and counsellors 365 days a year. The network also campaigns for change within schools and education policy in order to improve the wellbeing, mental and physical health of teachers. Free resource for mental health and addiction issues created and run by the Tasha Foundation. Head Meds gives young people in the UK general information about medication. Branch of Young Minds. Information, support and understanding to those who hear voices and those who support them. A website for all men who suffer from depression or anxiety from all round the world. Publications and leaflets relating to mental health issues. Website includes information for sufferers/family/friends, including how to get help, how to complain if not getting adequate help you are entitled to, information on medication etc. Information on mental health, personality disorders etc. Information service for users of mental health services, carers, professionals and the public. Information on types of mental distress, treatments, alternative therapies, mental health law, advocacy, where to get help, local Mind groups. Access to legal advice. Fact sheets and publications. The first major charity funding much-needed scientific research to transform the lives of everyone affected by mental illness. A wealth of easy to access research and information. Type ‘Moodzone’ in the search and it offers a range of information and useful videos for a range of mental health issues. Both good for adults and teenagers. Support for people with obsessive compulsive disorder (OCD). Includes information on treatment and online resources. Aiming to reduce the number of young people who take their own lives by shattering the stigma around suicide and equipping young people and their communities with the skills to recognise and respond to suicidal behaviour. Specialist advice to anyone who needs support or information on any mental health issue. (Rethink is the operating name of National Schizophrenia Fellowship). Self-help strategies. Resources to download on issues such as school mental health policy development. A free and confidential multi-channel service. That means that you choose how you access our support, without the worry of anyone else finding out, whether it be through articles and video content online or phone, email, peer to peer and counselling services. Thinkaction is a team of friendly, professional mental health practitioners and counsellors offering a wide range of effective treatments and talking therapies that will support you to understand and manage your mental health problem, so you can start to live a full and positive life again. (Not local area but a good website). Ending the stigma of mental health including tips, blogs, advice. Turn2Me provides a 3-tiered approach to supporting mental well-being - Self Help, support groups and Professional Support. Offering a range of support materials and resources for young people as well as training for individuals and groups both in-house and on offer to organisations. Lead on mental health for The Young People’s Health Partnership and has a very active role in the Children and Young People’s Mental Health Coalition. 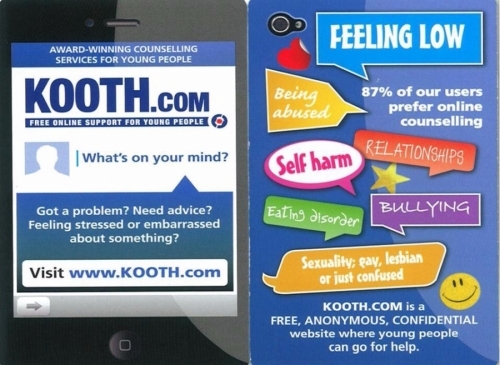 You can also access online counselling from Kooth.com, which is currently being funded for young people in Slough by Slough Borough Council. Childline is probably your first port of call if you need some independent help and support with any aspect of your life - see the first weblink and phone number below. Get Connected is also a great starting point that aims to find you the help you need from a range of different agencies, and you can contact by phone, SMS or email. The site also has a way of hiding your visit so that nobody else needs to know you viewed if you are using a shared computer or device. The other websites linked below provide help with more specific needs eg drugs concerns, depression, help for those of you who care for family members etc. Their logos or names speak for themselves! Click on each logo to be taken directly to the website concerned.